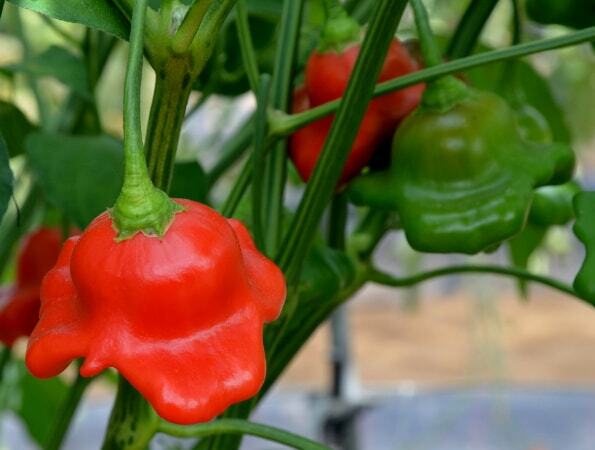 The plants have an open habit, and carry a good crop of exotically shaped chillies which have earned this variety a multitude of names. 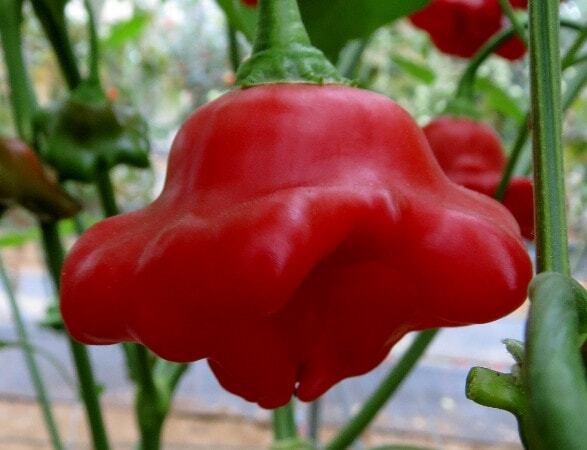 The bright red chillies have a crisp texture, a sweet pleasant flavour and only a mild pungency. Great to eat raw as an edible decoration in salads or a cold buffet.